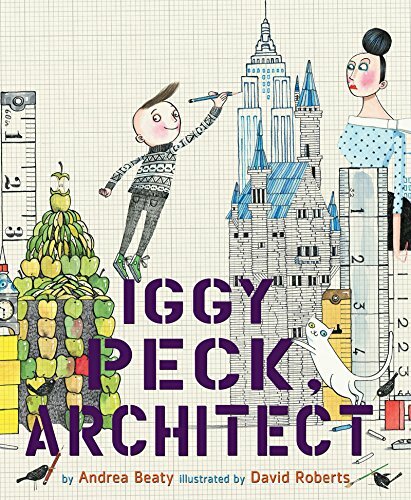 Our talented friend Reese is sharing her thoughts on Iggy Peck Architect. Reese is as big a fan of David Roberts' illustrations as we are. 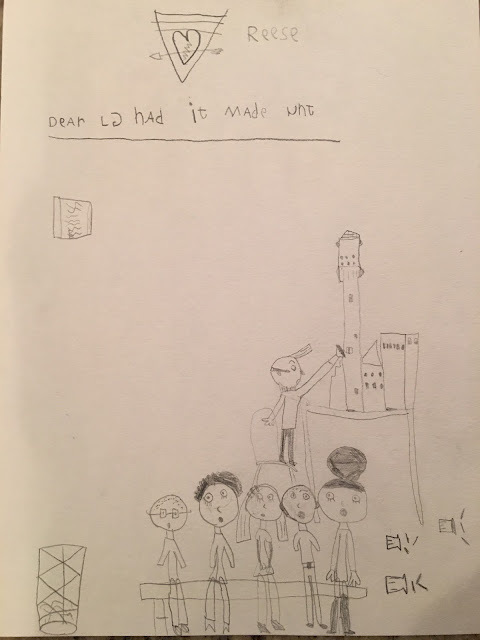 It was about Iggy Peck building things. When he was building the chalk tower. Iggy Peck and the girl with the bun. Would you recommend this book to a friend, why or why not? Because she's our friend and we should always share good books because we have lots of good book at our house.